USA TODAY Sports’ Brant James tells us why Kenseth should be eager to race at New Hampshire Motor Speedway on Sunday. 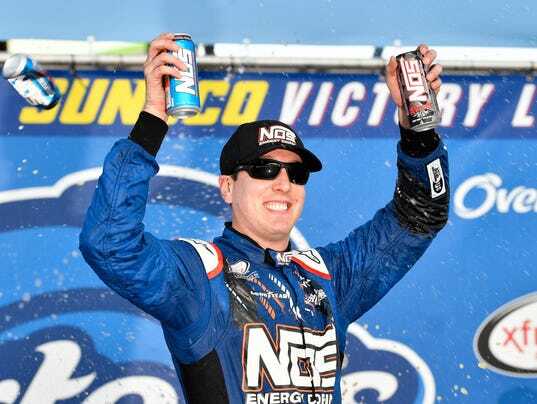 LOUDON, N.H. (AP) — Kyle Busch dominated yet again to win the NASCAR Xfinity Series race Saturday at New Hampshire Motor Speedway. Busch won for the third time this season and 89th time in his career in the second-tier series. He wasn’t challenged much late after an early-race duel with fellow Cup regular Brad Keselowski. Keselowski led 102 laps but had nothing for Busch down the stretch. Busch’s was one of just six cars that finished on the lead lap. Ryan Preece was second, followed William Byron, Kyle Larson and Keselowski. Larson was scheduled to start Sunday’s Cup race from the pole until his car failed inspection and forced him to the rear of the field. Series points leader Elliott Sadler was seventh in a race that included a 58-minute rain delay. He has a 45-point lead over Byron.